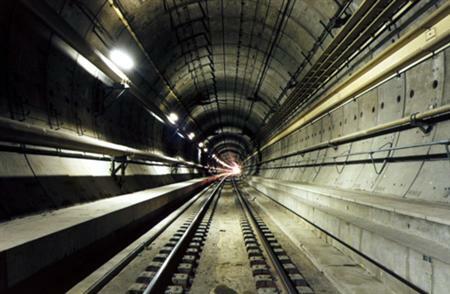 Happy 25th birthday to the Chunnel! 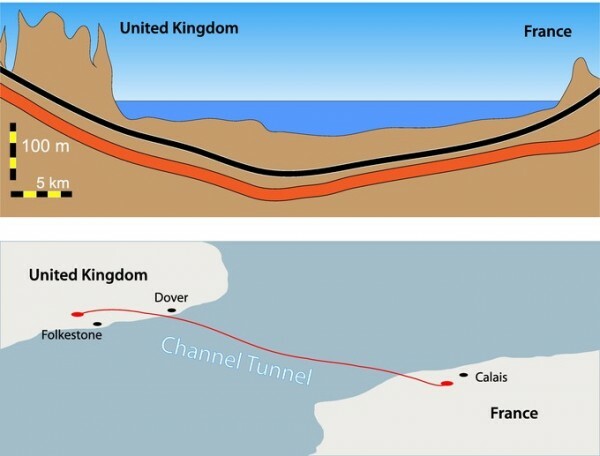 The Chunnel is the tunnel that goes under the English Channel, connecting England and France. The tunnel is only 31 miles long, but it took them four years to dig three tubes, making close to 95 miles of dirt to remove. On December 1, 1990, the workers broke through with an opening the size of a car. Oh, sure, it took another four years to get the tunnel completed, but I think that initial breakthrough was significant considering the two countries’ history. Most of us get our understanding of French-English relations from the scholarly source of Monty Python. A tunnel that overcame (undercame?) their biggest barrier, the English Channel, symbolizes for me the wall of hostility is gone. Another barrier was removed at an even greater cost. Our sin separates us from God, but Jesus Christ removed the barrier at the cost of His own life. But your iniquities have separated you from your God; your sins have hidden his face from you, so that he will not hear (Isa. 59:2). But now in Christ Jesus you who once were far away have been brought near by the blood of Christ (Eph. 2:13). It didn’t take a tunnel to get there. Just the willing sacrifice of Christ. Previous Previous post: WWJW – What Would Jesus Write?